There is a vacant brick ranch house sitting on about 3/4 of an acre of land on Dunn Road right next to the Bedford community. I drive past this house every day. Every few months I have seen a couple of fire trucks out in front and several fireman calmly walking around the property. I use to think they were there responding to kids messing around and lighting stuff on fire in a vacant house, but I never saw smoke and there never seemed to be a sense of urgency in their actions. Last week the Falls Fire Department was there on Friday afternoon and then again on Saturday night. A few hours before the fire trucks showed up Sat. night I noticed some firemen in pickup trucks standing around the house talking. Then a few hours later when I drove by on my way home from dinner there were fire trucks and firemen in full gear walking around. Made me think it was some kind of training. I find it a little strange since it is a privately owned piece of property that is listed for sale. Granted, it is an old house and the for sale sign says the land is zoned to be developed into townhouses so I guess the house will be torn down. I assume this is some kind of training excercise I keep seeing, but all the recent activity has peaked my interest. Anybody have the inside scoop? I this kind of training typical for Wake County firemen? I don't think it's unusual for firefighters (not just firemen ) in many communities throughout the country to use old homes for training purposes, if they get the opportunity. I've heard about them for years. HowStuffWorks "Burn Buildings and Firefighter Ranks"
Is this kind of training typical for Wake County firemen? I don't live in Wake County, but where I live, sometimes people will donate a house that needs removal, to the fire dept for training purposes. They will usually use it for awhile to run training drills, and end with lighting the thing completely on fire, lol-it's called a 'controlled burn'. Free training for the firefighters and free structure removal for the owners! Yes, it is common around here too. 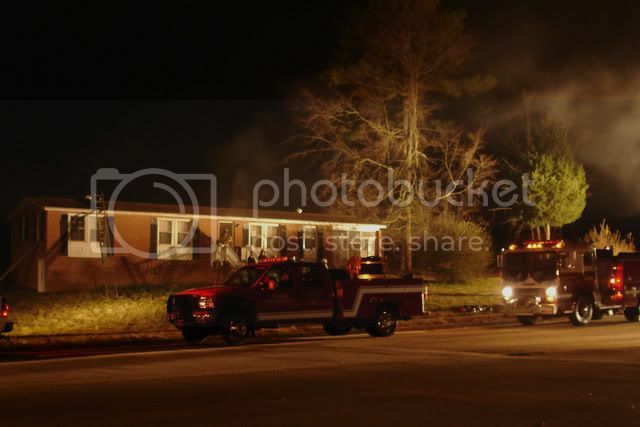 I live in Wake Forest and last year there was an old house on Hwy98 that firefighters used for several months of training before it was finally torn down. As already stated, it's not unusual at all. My dad was in Bayleaf Fire Department for most of my childhood. They routinely would use old houses for training. I'm sure it's for training. They did that to a house here in Cary on Reedy Creek Road last year. I assume they obtained permission. Or the town bought it and they don't need permission? You can check ownership on the Wake County tax page. edit: OK, I poked around. A development company owns 3 lots right in that section - looks like they were owned by the same family and the company bought them out.